LAS VEGAS (June 2017) – Now on display at The Mob Museum, the National Museum of Organized Crime and Law Enforcement, “Mob at the Movies” explores how organized crime has been portrayed in popular culture. 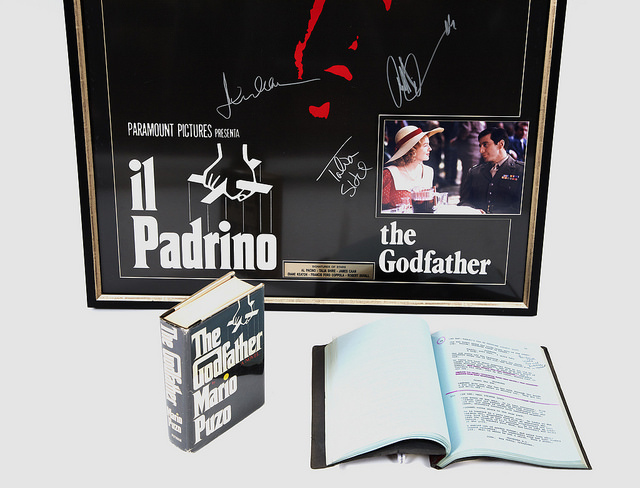 Featuring artifacts from well-known movies and television shows, the exhibit demonstrates the history of Americans’ fascination with the Mob in popular culture. Among the artifacts, a 1952 poster from the film “The Captive City” featuring John Forsythe and Joan Camden is on display. This artifact has an interesting local connection--Senator Estes Kefauver, who held one of the 1950s U.S. Senate hearings into organized crime in the Museum’s courtroom, provided the epilogue to the film, which was filmed entirely in Reno. The Mob Museum, the National Museum of Organized Crime and Law Enforcement, a 501(c)(3) non-profit organization, provides a world-class, interactive journey through true stories—from the birth of the Mob to today’s headlines. The Mob Museum offers a provocative, contemporary look at these topics through more than 2,000 artifacts and immersive storylines. Whether you like it or not, this is American history. Since opening in 2012, The Mob Museum has accumulated numerous accolades, including being named one of TripAdvisor’s “Top 25 U.S. Museums,” USA Today’s “12 Can’t Miss U.S. Museum Exhibits,” “A Must for Travelers” by The New York Times, one of “20 Places Every American Should See” by Fox News and Budget Travel magazine and “Best Museum” by Nevada Magazine. The Mob Museum has been awarded accreditation by the American Alliance of Museums, the highest national recognition afforded U.S. museums. Admission is $23.95 for adults ages 18 and over with special pricing for online purchase, children, seniors, military, law enforcement, Nevada residents, and teachers. The Museum is open daily; visit the website for up-to-date operating hours. For more information, call (702) 229-2734 or visit themobmuseum.org. Connect on Facebook at facebook.com/themobmuseum.org or Twitter @themobmuseum.